The Goal of this blog is to open up your mind to another perspective about the Church. I want to showcase the beauty of Christianity to those only aware thoughts of the ugly parts, and present alternative perspectives, experiences, and for those who still remember all the lyrics from, "Jesus Freak." I did not grow up Christian. In fact, most of my family is Hindu. The purpose of this website is to document my painful adventures and share thoughts about the Church. Greetings. Thanks for coming to my blog! I love the Church and Adventures. Currently, I'm pastoring Kalos Church on the Eastside of Seattle after serving as the leader of Momentum, an 18+ God Party in rural Detroit. I also write for Emerging Evangelists. In the past I’ve worked as a full-time photographer, professor in Korea, charter school educational leader, and missions marketer. This blog is my personal endeavor to share my strategies and experiences with ministry, life and leadership. Sometimes I write about 30 day challenges where I attempt to daily jump rope one thousands times a day or simply learn how to sing. Other times, I document my thoughts on speaking at a stadium in Honduras or planning epic man nights. Here are two videos of two ministries I pastored in the past. Motofest: An event we throw every year for teens in a city without a public high school. Momentum Conference: hundreds of young adults gathering to advance the Kingdom. Pradeepan Jeeva was born and raised in Minnesota by Sri Lankan Hindu Refugees. After radically becoming a Christian, he has shared the Gospel to hundreds of thousands by speaking before stadiums, radio and television audiences in cities ranging from Amman, Jordan to Lamu, Kenya. He brings a comedically unique perspective to the Gospel as one who is immersed in both eastern and western worldviews. Pradeepan’s prayer is that his messages would “comfort the afflicted and afflict the comfortable" towards a greater life in God. Aside from that, Pradeepan enjoys painful challenges, puns, and playing any instrument. 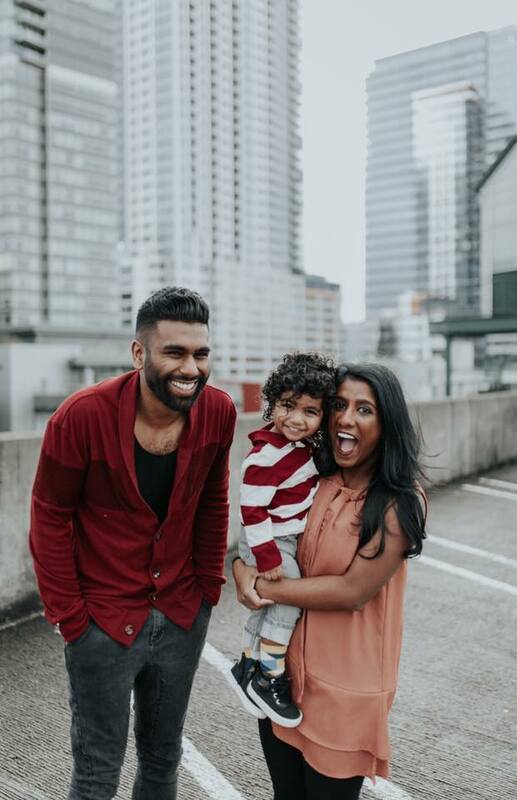 Pradeepan holds a Bachelor’s in Theology, a Master’s in Educational Leadership, and currently resides in the Seattle, Washington area as a church planter for Kalos Church. He is happily married to Amreitha Jeeva, who works as the Director of Advocacy with LightBridge International (www.lightbridgeonline.org)—an organization dedicated to developing communities and sharing the Gospel to people living on Cambodian minefields. Together, they made a baby--Obadiah Light Jeeva. He squeals, eats and sleeps.